Make your gift even more personal. The product will be inserted in our special gift box and you can also add a personalised message. 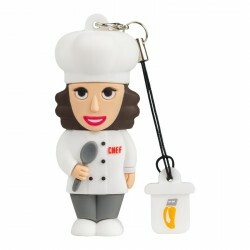 The PROFESSIONALUSB® Chefs Pen Drives and Keyrings, imaginative and creative. 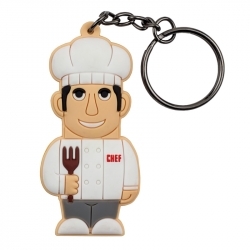 USB Chef Pen Drives and Keychains are for all the enthusiats and/or professionals of the world of food. 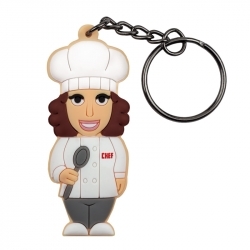 The product dedicated to Chefs are the link between food and technology, through imagination and creativity. 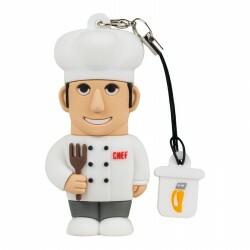 Within these USB keys you can store many tricks and recipes, to have them always at hand. The unique design and shape make possible to bring happiness in home cooking as well as in professional kitchens.